The science and practice of medicine in relation to mind. The pathology of nerve centres and the jurisprudence of insanity, being a course of lectures delivered in Guy's Hospital. Description : frontis. pl., [i]-xv p., -464 p., [6 l.] pl. ; ill.: 4 phot., 3 liths. ; 22cm. Photographs : 4 clinical portraits, photolithographs. Photographer : Hugh Welch Diamond (1809-1886). Author caption: By J. Thompson Dickson, M.A., M.B. (Cantab.) ; Lecturer on mental diseases at Guy's Hospital ; Late Medical Superintendent of St. Luke's Hospital. Member, Royal College of Surgeons, 1863. M.A. & M.B., Cambridge University, 1867. Member, Royal College of Physicians, 1868. Assistant medical superintendent, London Lunatic Asylum, Dartford. Physician, Infirmary for Epilepsy and Paralysis, London. Resident medical superintendent, St. Luke's Hospital, London. Lectureship on mental diseases, Guy's Hospital. To my erudite friend, Dr. Diamond of Twickenham, my best thanks are due, not only for many useful hints, but for his liberality in placing at my disposal, his valuable collection of photographic negatives, some of which have been reproduced by a new process of litho-photography. The work was executed by Mr. Briggs of Baker Street.—Page vii. Much stress has been laid on the features of the insane, but the study of physiognomy, though in its way of much value, is, as yet, far too embryonic to be of great scientific worth, especially in the study of mental disease. It has, however, occupied several able observers, and I may mention in particular, Dr. Diamond, of Twickenham, formerly Superintendent of the Surrey County Asylum, and now proprietor of Twickenham House, who has very successfully photographed many insane patients, some of which were described by the late Dr. Conolly in the Medical Times and Gazette. I am inclined to believe that bye and bye physiognomy will become of great use to us in the diagnoses of many diseases, and perhaps in particular in those which we term mental. Through the kindness of Dr. Diamond I am enabled to show you some of his valuable photographs, and I now hand round for your inspection portraits of maniacs the lineaments in which are depicted with such extraordinary vividness and accuracy that they cannot fail to strike you.—Pages 86-87. In the excellent work lately published by Mr. Darwin on the expression of the emotions (a book you ought to read, if you have not read it already), are numerous and interesting observations on lunatics, several of them made especially for Mr. Darwin by Dr. Crichton Brown; and as of special interest, you may note his remarks on the hair standing on end. You will find a woodcut, Fig. 19, in Mr. Darwin's book, taken from a photograph of a woman with her hair in a marvellously erect condition, of whom Dr. Browne says "that the state of her hair is a sure and convenient criterion of her mental condition. "—Page 87. Dickson trained at Guy's Hospital under the supervision of Samuel Wilks (1824-1911), a brilliant clinician whose name illuminates the literature across a wide range of disease disciplines. Obscured by the passage of time but no less important were Wilks's observations on epilepsy and localization of brain function. His paper on diseases of the nervous system published in 1866 (vide: Wilks»») shaped Dickson's thinking on the descending motor pathway in cortical epileptogenesis and the theories of both mentor and protegé can be recognized in the later work of Hughlings Jackson (vide: Eadie»» -pdf file). Dickson suffered from rheumatic heart disease and died at age thirty-three, holding the galleys to his book. The four portraits are photolithograph reproductions of Dr. Diamond's masterpieces in clinical psychological portraiture, reformatted as ovals. Artist renderings of the first two plates were published in 1858, illustrating John Conolly's 13-part paper titled, Physiognomy of insanity (Medical times and gazette, vols. 16-18) with the captions "Chronic Mania" ( Plate 5»») and "Suicidal Melancholy" (Plate 2»»). 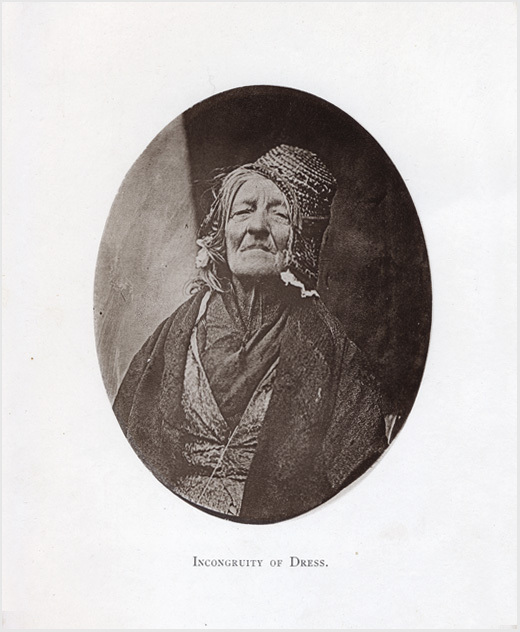 As expressed by the "embryonic" quotation above, Dickson distanced himself from Conolly's physiognomic interpretations of Diamond's photographs and looked instead for evidence of disease process such as "electrical condition of hair."